Results of the world’s biggest ever election will be declared on Friday as votes polled in the nine-phased Indian parliamentary elections are counted tomorrow. India’s Election Commission said that the counting exercise to be held at 989 counting centres is likely to be completed by 11:30 GMT and the initial trends will be available by 5:30 GMT. 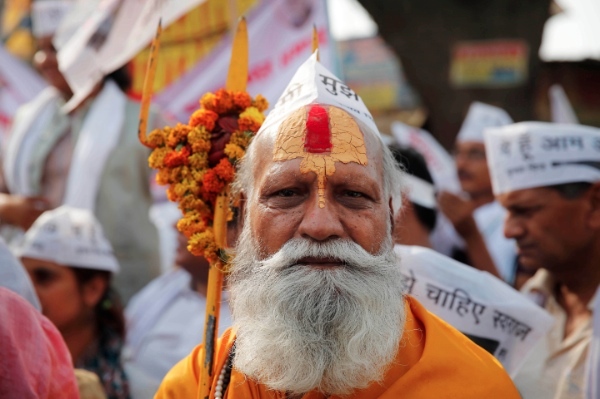 Nearly 8000 candidates were in the fray, in the largest-ever electoral exercise held in Indian history. The elections this summer recorded the highest ever turnout in a general election in India, with 551.3 million people—or 66.38 per cent of the total electorate—coming out to vote. Most exit polls have projected that the right wing Bharatiya Janata Party (BJP) will emerge as the single largest party. However, the accuracy of these forecasts have been questioned as most were way off the mark in earlier general elections in 2004 and 2009. India’s current Prime Minister, Manmohan Singh, the Oxford- and Cambridge-educated economist credited with shaping India’s economic reforms, received an emotional sendoff from a large number of staffers at the Prime Minister’s Office on Tuesday. Singh, who had ruled himself out for a third term in office in early January this year, will make a farewell address to the nation on 17th May, a day after the election results are announced. This was also the first parliamentary elections when the option of ‘none of the above’ or NOTA was introduced on the Electronic Voting Machines (EVM) following India’s top court directions to ensure secrecy of voters who use this option. Before NOTA button was installed on EVMs, voters had to fill up form 49 ‘O’ at the polling station which compromised their identity. Polling in most phases was by and large peaceful barring a few stray incidents by Maoist rebel groups and some poll-related violence. Once the election results are declared, the names of the winning candidates will find mention in the official gazette to be issued by the Indian Election Commission. The gazette notification will initiate the process to form the next lower house of the Indian parliament.